Liven up the conversation at your parties and make sure everyone keeps their own glass. 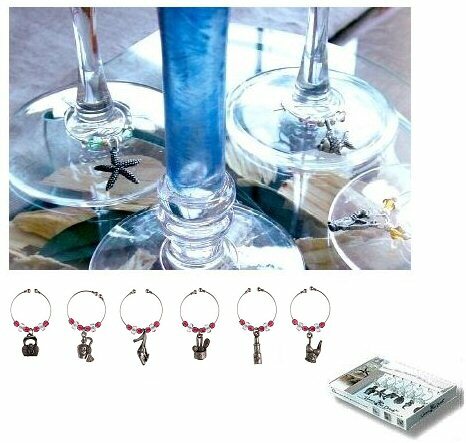 Drink charms are the perfect solution! 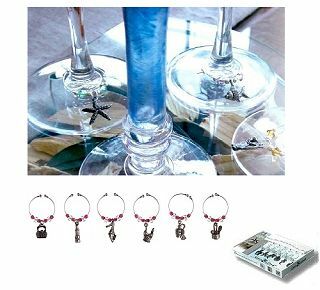 Handcrafted with genuine Austrian crystal and lead free pewter charms, they adjust to any glass stem or handle. They come in a variety of colors with a large selection of charms so you can be sure everyone you entertain has their own style. They are the perfect gift for the person who has everything and any hostess or host would love to receive them! Ensure your guests don`t forget whose glass is who`s!